For the majority of my life, Fred Green Tomatoes was nothing more than a movie title. 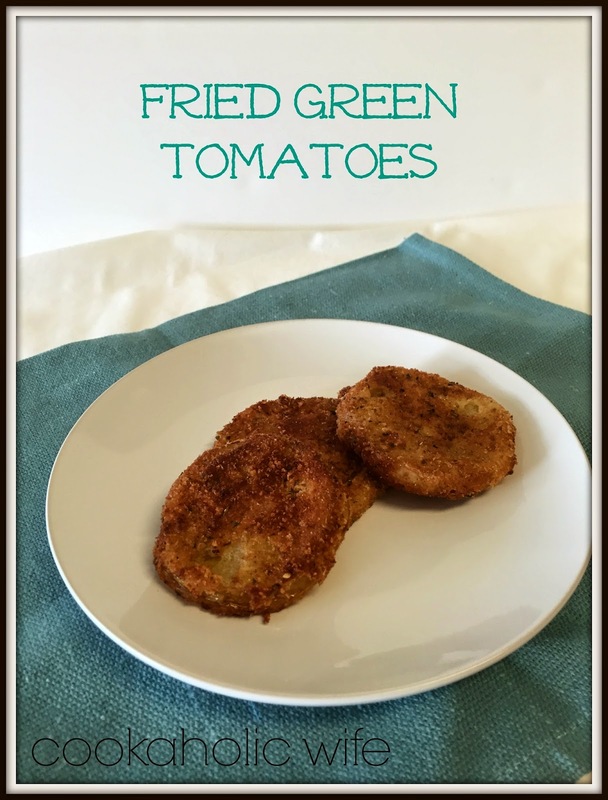 I had no idea where one would find a green tomato nor why they would fry it. Let’s just say I was less than interested. About two years ago I started to see them popping up on menus in the appetizer section. Since my taste buds had expanded from the minuscule world, I did debate on ordering them a few times but always ended up choosing something else. Mainly because I’m cheap. $9 for an appetizer I may not like? No thanks, I’ll spend that money on a drink instead. 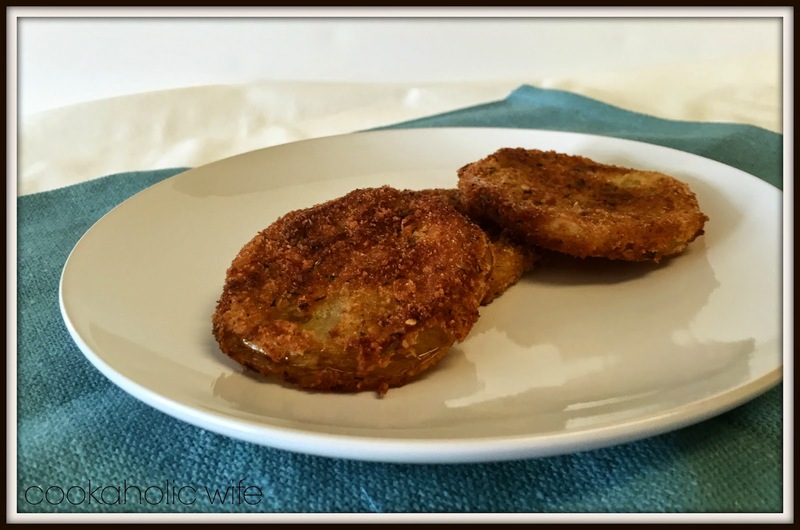 Over the summer I noticed Wegman’s selling green tomatoes and decided that I was finally going to buy one and make some fried green tomatoes, because for $1.58 a tomato, it was worth the chance that I wouldn’t like it. 1. Add enough oil to a large skillet to just cover the tomatoes. Heat over high heat until shimmering. 2. Liberally season both sides of the tomato with salt and pepper. 3. Set up three dishes, one with the egg, whisked, one with the flour and one with the Panko and cayenne combined. 4. Dip the tomato slice in the flour first, shake off the excess, the dip in the egg and finally into the Panko. Place on a plate and repeat with remaining tomato slices. 5. Carefully place each tomato slice in the oil (don’t overcrowd) and cook for 1-2 minutes on each side or until golden brown. 6. Transfer to a paper towel to absorb excess grease. Serve with Ranch dressing. If you’re wondering how I created my own recipe not having these before, it’s because I knew they followed the standard flour-egg-breadcrumb technique and instead of looking up a recipe for measurements, I just went with my own. Buttermilk dipping sauce is most common, but I only had Ranch dressing and decided to go that route. The taste and texture is interesting. It’s like a tomato, but not. It’s hot and crunchy and good, but I felt like something was missing. I’m now definitely going to try them in a restaurant to see if there was something I missed.